The Italian economist will replace Daniele Nouy, who was the first chair of the SSM, the ECB’s supervisory body set up in 2014 as part of the banking union framework. The chair of the eurozone’s new single supervisory mechanism sought to soothe nerves yesterday (3 November) before the Frankfurt-based body starts supervision today of 120 of Europe’s largest banks, including several carrying too much debt. 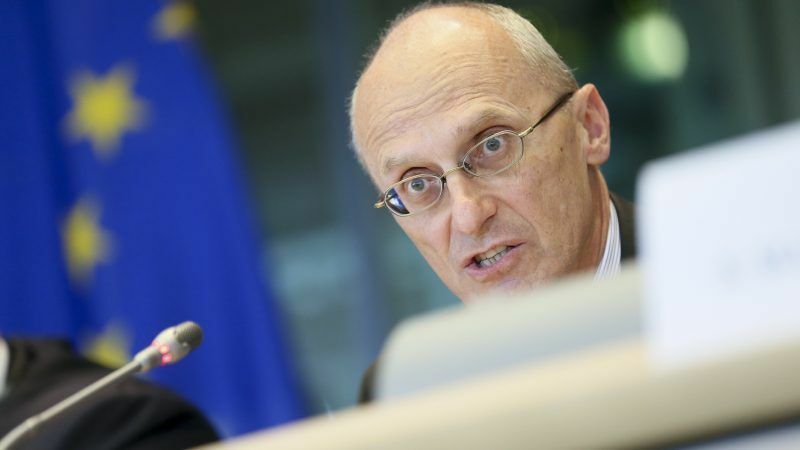 Enria will be in charge of supervising 118 banks in Europe that are either the largest in their home country, have more than €30 billion in assets or substantial cross-border operations. The SSM can carry out inspections to check banks’ compliance with EU rules, request entities to set aside additional capital provisions to mitigate risks or even withdraw the banking licences. 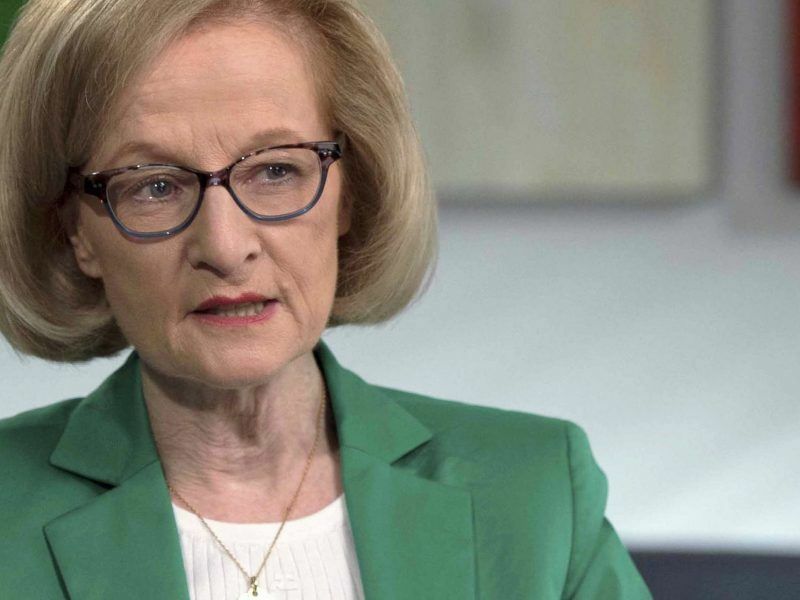 The deputy governor of Ireland’s central bank, Sharon Donnery, was among other contenders for the post. Although she was seen as a stronger candidate initially, a majority of the ECB’s governing council eventually picked Enria. Enria’s nomination will have an impact on the rest of posts that will become available within the ECB, and the rest of EU institutions. The governor of the Central Bank of Ireland, Philip Lane, is now leading the race to take one of the posts that will become available next year on the ECB’s executive board. 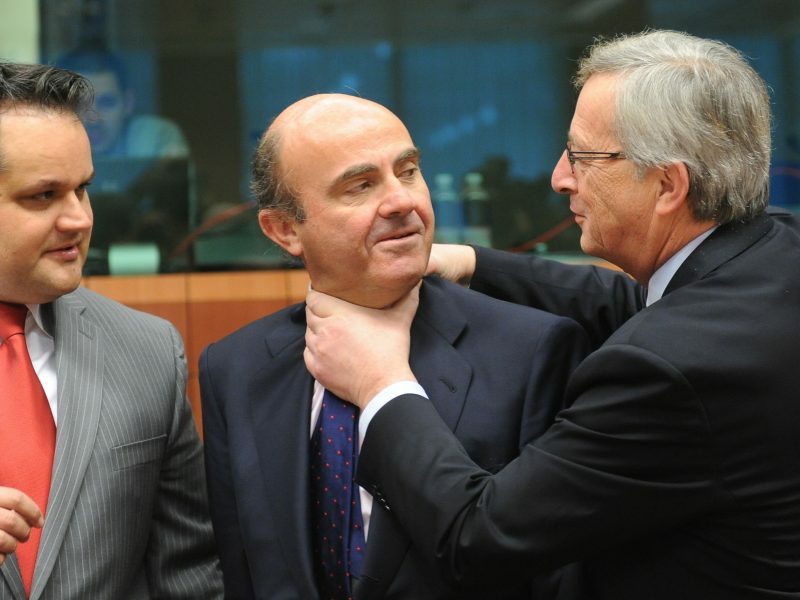 Lane was praised by MEPs when he was being considered for the ECB’s vice-presidency versus Luis de Guindos, who was in the end picked by the finance ministers. Eurozone finance ministers chose Spanish Economy Minister Luis de Guindos to become the next vice-president of the European Central Bank (ECB), marking the return of Spain to top EU posts after the country lost its chair in the bank’s Executive Council. Some diplomats raised Enria’s nationality as an issue, as the high level of ‘bad loans’ held by Italian banks continues to be a major concern in the Union. The amount of non-performing loans is a recurrent argument used by Germany to push for completing the banking union with a deposit guarantee scheme. Enria’s election came on the same day that the new rules to better equip banks to deal with ‘bad loans’ continued to progress in the pipeline. 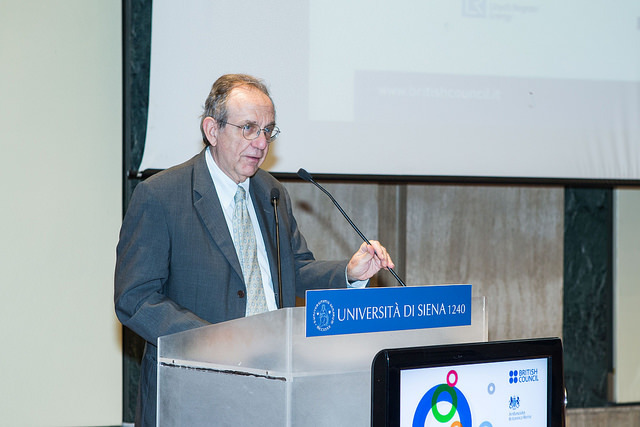 Italy is considering setting up a state-backed “bad bank” to help clean up its banking sector, Pier Carlo Padoan said in a newspaper interview on Sunday. The new rules aim at avoiding the accumulation of non-performing debt as it happened just after the crisis. But it won’t affect the existing €860 billion of ailing obligations held by the financial sector. Still, the level of NPLs in relation to the total amount of bank loans came down from more than 7% at the peak of the crisis to 3.4% in the second quarter of this year. 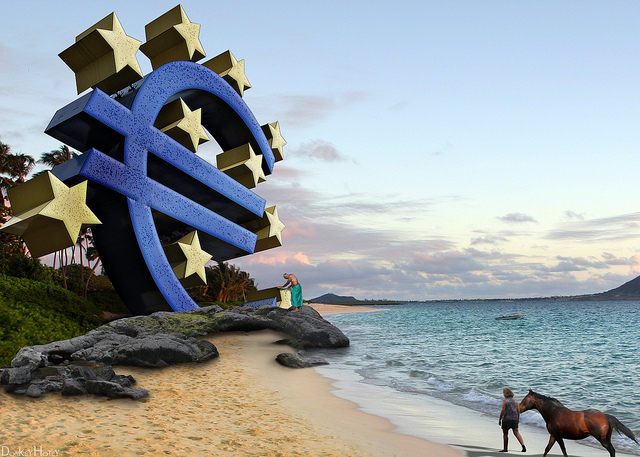 The European Commission on Wednesday (14 March) proposed new measures requesting banks to raise more capital against loans turning ‘toxic’ and to develop a European market to sell ‘bad loans’ weighing down their books. The legislators continued to water down the original proposal made by the Commission, following the softening of the requirements already introduced by the Council. MEPs supported the member states’ extension to three years, instead of the Commission’s two-year period, for banks to full provide for ‘bad loans’. But the Parliament committee went further as it erased an intermediate milestone of covering at least 35% of the banks’ exposure to unsecured loans after two years since they turned toxic. 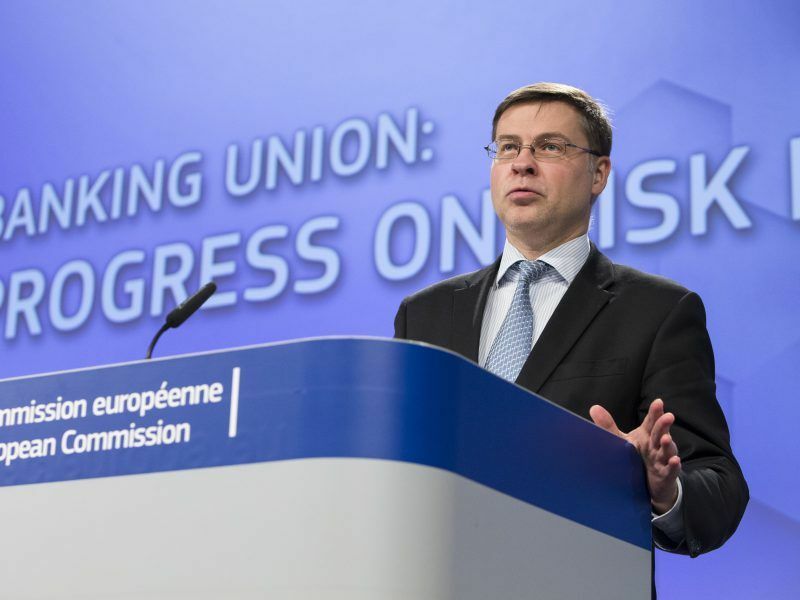 Still, Commission vice-president for the euro and financial services, Valdis Dombrovskis, welcomed the report. “This is a key EU law to prevent future build-up of NPLs in EU banks,” he wrote on his Twitter account. The Parliament and the Council will now enter three-way negotiations with the Commission to agree on a common position.